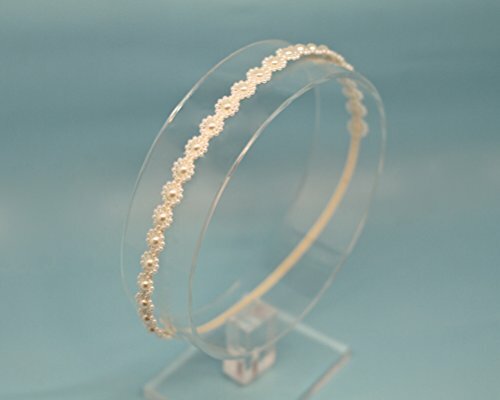 Simplistic beauty at its finest can best describe this dainty petite ivory pearl flower skinny elastic headband. Each single pearl flower measures approximately 3/8" and is attached to a row of pearlized flowers for a stunning band of flowers securely attached to 1/8" skinny elastic. It's delicate yet designed to last. This is beautiful for babies, children and adults. This is a perfect photography prop. It would be a beautiful to a special occasion or holiday outfit. This piece is a true winner at an amazing price!